Listening to the album “Songs of the Humpback Whale” in 1970 was an “aha” moment for Laurie. That heart-opening experience inspired her life’s passion for learning everything she could about the natural world. For more than a decade, Laurie was a board director and worked as an assistant naturalist at Seven Ponds Nature Center in Michigan. When Laurie moved to Vermont in 2001, she immediately volunteered at The Nature Museum and has enjoyed being on the board of directors since 2002. Laurie loves exploring and sharing the endless wonders of nature with her family, friends, and anyone who is even vaguely interested. Leslie grew up in the canyons of Manhattan with Central Park as her backyard, spent summers in the New England woods, and loved the beach at Rockaway where her grandparents lived. Those early years embedded in her a sense of wonder at the beauty of our world and taught her to find nature in the most unexpected places. The exploration and experience of nature continues! Steven grew up on the Dakota prairies, where his great-grandfathers had homesteaded 100 years before. A love of nature and an innate commitment to sustainability were the outgrowth of these early experiences. Though he worked as a flight attendant and a humane society public relations director in his twenties, most of Rick’s career has been devoted to independent schools. He held teaching and administrative roles at Choate Rosemary Hall, Pingree and St. Paul's Schools and served as executive director of The Association of Boarding Schools in Boston and Washington, DC for 9 years. Locally, he was head of The Grammar School, Director of Admission at The Putney School and the Compass School before retiring in 2015. Rick lives in Cambridgeport and has two daughters. He also serves on the board of the Grammer School. Will collected Golden Nature Guides as a kid, and still keeps the dog-eared copies as totems to the force that inflamed him back then. That fire has only grown over the years, and animates his living daily. He is blessed to live in heaven at the end of a Vermont dirt road, and strives to create music and gardens that honor the beauty and mystery of nature. A nature lover from a young age, Ken spent over 40 years working in nature centers, children’s museums, and other conservation programs. In 2006 he founded Green Hearts Institute for Nature in Childhood, and operated it until his more-or-less retirement in 2016. He is a past volunteer president of the Association of Nature Centers, and was honored with ANCA’s annual Leadership Award in 2017. Over the course of his career, Ken gradually grew into a strong advocate for unstructured children’s play in natural settings as an important prerequisite to effective learning about the environment. Ken and his wife, Sharon, retired to Vermont in 2016 and are working hard to enhance the natural and human environment of their hilltop farm in Chester, where they are eagerly awaiting their first moose sighting. Deborah Velto received her Bachelors of Arts in English from Siena College and went on to earn a MS in Education from Sage Graduate School in Troy, NY. Deborah worked in several NY public schools before moving to the Navajo Reservation where she worked as a high school English teacher for three years. She also spent several years as a middle school Special Educator at a small rural Vermont school. When her children were young, she spent time teaching at a Waldorf inspired program for homeschoolers, and soon became actively involved in her local homeschooling community while giving workshops and homeschooling her own children. Most recently she worked as the K-8 director at Oak Meadow, a distance learning program for homeschool students. Currently, she runs her own private tutoring and educational consulting business in Saxtons River, VT. She lives in Southern Vermont with her husband, two children, and beloved dog. Deb’s children have attended programs at the Nature Museum since they were very young, and this community resource has always been a source of inspiration behind their natural curiosity for science and the outdoors. 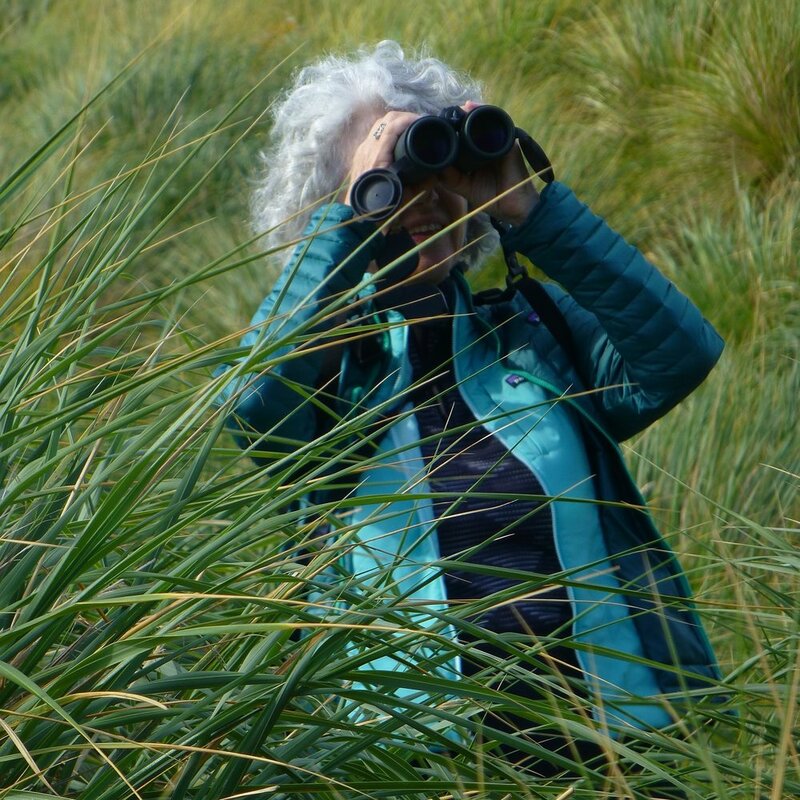 Deb joined the board of directors in 2011 because she believes strongly in the importance of nature based education and is committed to supporting continuing opportunities for the community to connect with the natural world. Andrew is a writer of fiction and freelance journalism and consults with purposeful businesses, nonprofits and foundations to help them tell their stories. He's an avid outdoorsman, devoted husband and full-time dad to two amazing kids. They teach him every day about the magic in the natural world and remind him of our responsibility to preserve and protect that for future generations.